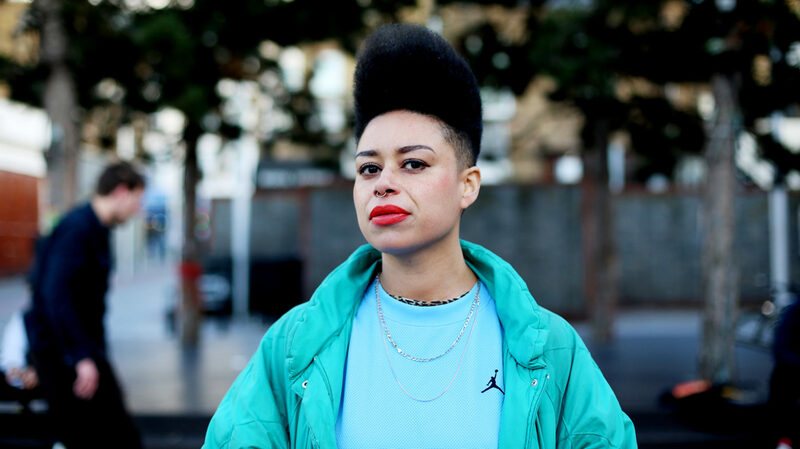 Hannah Catherine Jones (aka Foxy Moron) is a London-based artist, scholar, multi-instrumentalist, radio presenter (BBC Radio 3 – Late Junction, NTS – The Opera Show), composer, conductor and founder of Peckham Chamber Orchestra – a community project established in 2013. Jones’ broad practice is connected by a central spine of inclusivity and “decolonization”. The ongoing body of work *The Oweds* are a temporal form of (self)-reparation, a method of connection with ancestry though sonic ritual using combinations of voice, theremin, stringed instruments and visuals, sometimes orchestrated, predominantly improvised. Jones is currently an AHRC DPhil scholar at Oxford University exploring the relationship between Afrofuturism and Gesamtkunstwerk through the art-music of Sun Ra and Wagner. Jones has performed and lectured internationally, including at Oxford University, Trinity LABAN, Royal College of Art, Kingston, Sussex, Teesside, LCC, ECA, Liverpool Bienniel (UK), NYU, Harvard (US), Umuzi (SA), Liquid Architecture (AUS), and has exhibited widely including at Serralves Museum of Contemporary Art (Porto) Wagner Museum (Bayreuth), Beirut Arts Centre, Modern Art Oxford, Tate Modern, Gasworks, Guest Projects, Vitrine, IMT, Almanac and Whitechapel galleries (London). At Framer Framed, Jones participates in the event Diasporic Self II: Dancing as lingua franca (a gathering in progress) on Saturday 24 November 2018, as part of Amsterdam Art Weekend.